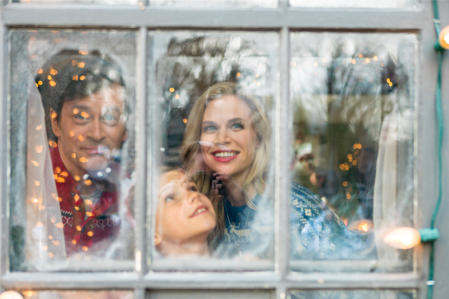 Its a Wonderful Movie - Your Guide to Family and Christmas Movies on TV: Christmas Connection - a Hallmark Channel Original "Countdown to Christmas" Movie starring Brooke Burns & Tom Everett Scott! 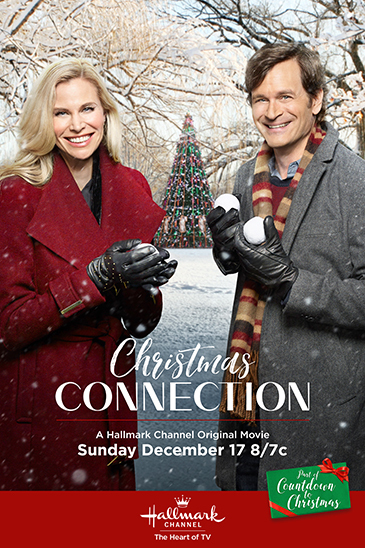 Christmas Connection - a Hallmark Channel Original "Countdown to Christmas" Movie starring Brooke Burns & Tom Everett Scott! 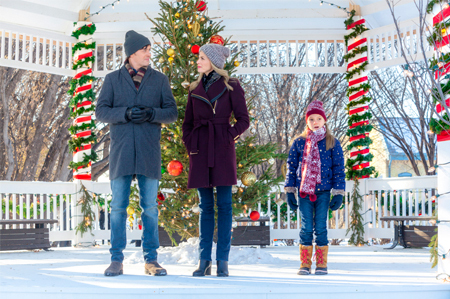 Storyline via Hallmark: Adventurous flight attendant Sydney’s plans for a tropical Christmas get delayed when she helps an unaccompanied minor get home to Chicago to her dad Jonathan, a handsome widower and investigative reporter. 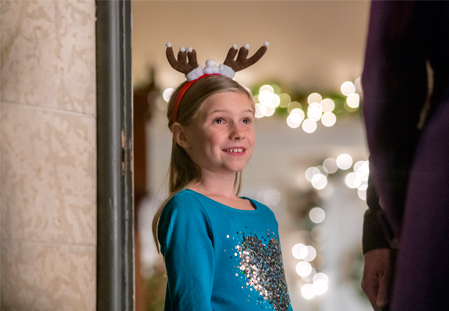 Faced with a shortage of out-going flights, Sydney is marooned for several days in the Windy City –once her home as a small girl — and tags along with Jonathan, his daughter, and their exuberantly festive family until she can find a connecting flight. 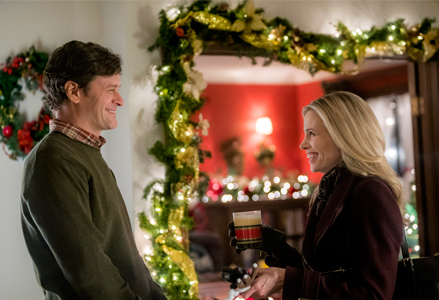 Jonathan makes her a deal: he helps her chase down the story of how her late parents met, and she helps him to write the perfect Christmas story and keep his job, and along the way, sparks form between them. Interesting! They changed the storyline a lot! Thanks for the update. 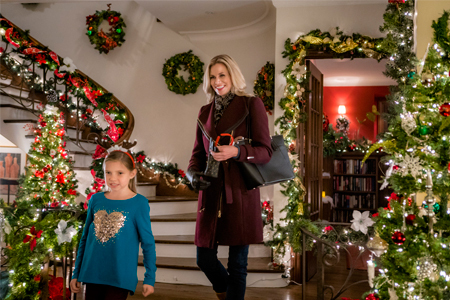 So excited to see Brooke Burns again! Looking forward to this! 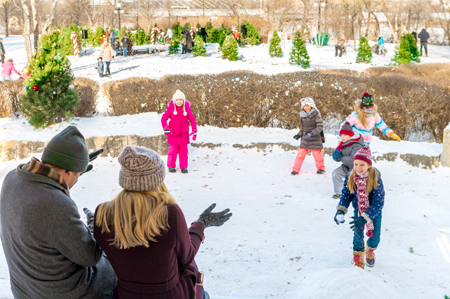 The picture of Chicago has no snow I it, and the scene is missing several buildings trump tower etc. What I'm getting to find out is where the house is located?..... in Vancouver, studio or? I didn’t feel there was much chemistry between the two main characters. It seemed forced. And that’s a bummer because I like both actors!!! Does anyone know the brand of the coat she wears in this movie, or something similar? I took a look at Brooke's coat, and I couldn't quite tell if it was purple, or a wine color. It seems different in various shots and probably depends on your TV or computer screen. If you are looking for a similar coat, in a wine color, then you might be interested in the Vince Camuto Womens Belted Wool Coat. It's available from Amazon, Macys, and other places, too! Or, you might be interested in the Cole Haan Women's Textured Wool Molded Collar Coat With Self Belt or, perhaps, this coat - Cole Haan Women's Stand Collar Wool Coat. Same question here, is very similar to the Calvin Klein wool coats but not exact. Been searching and cannot find it so far. 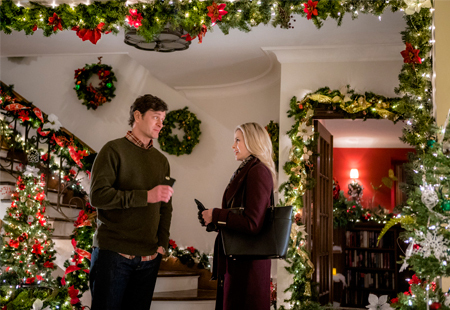 It is also the same exact brand of coat worn in "Christmas Next Door" but that one was grey. Someone at Hallmark likes that designer and probably was the wardrobe manager for both. We had the same question about the coat, looks like a Calvin Klein one but not exactly. 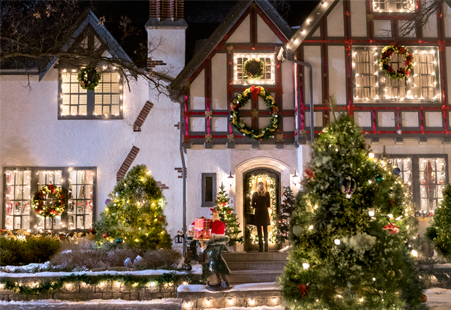 Same coat as in Christmas Next Door except that was in Grey. I'd like to hear about the sound track. Who are the performers? I enjoyed this one. This one is second to "A Gift to Remember". I liked that the characters were mature and ACTED mature. Was the picture of her mother a picture of Erin Krakow? I WANT that blue sweater that she wears! I've searched but can't find it. Does anyone know where/who makes that and where I can get it? Thanks! 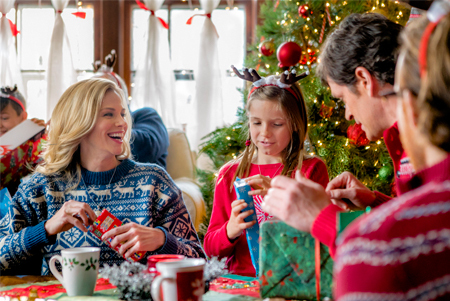 Does anyone know what blue Christmas sweater she is wearing in this movie? I love it!! I am wondering about the black handbag she wore. It reminded me of the M Kors bag with pockets on the side, but its a larger and perfect size. Such a cute movie! !